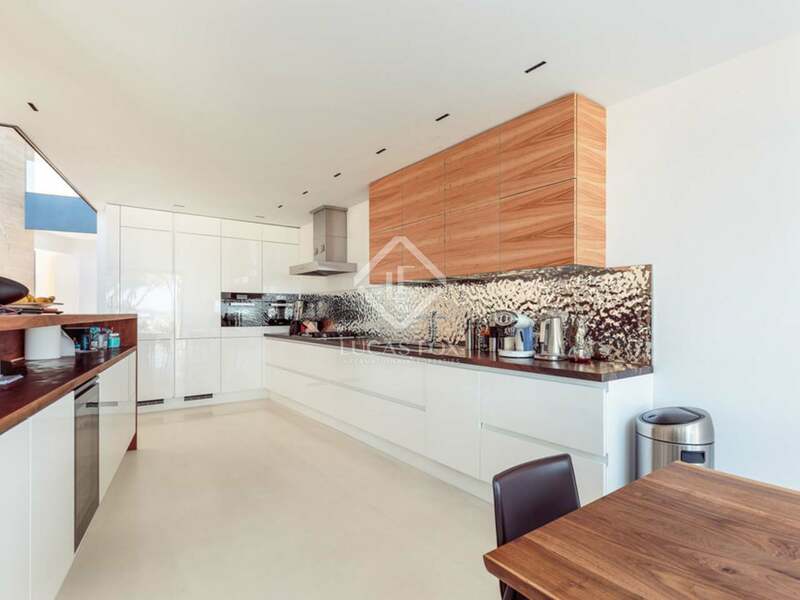 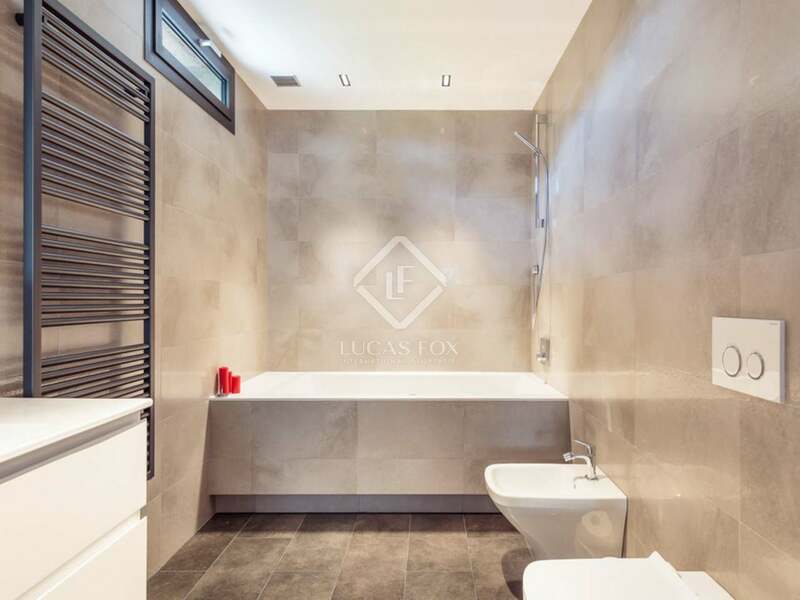 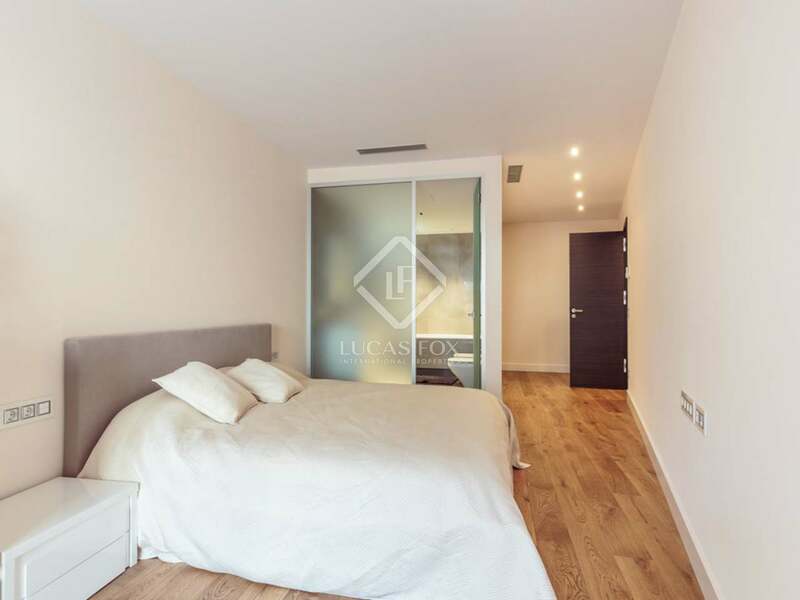 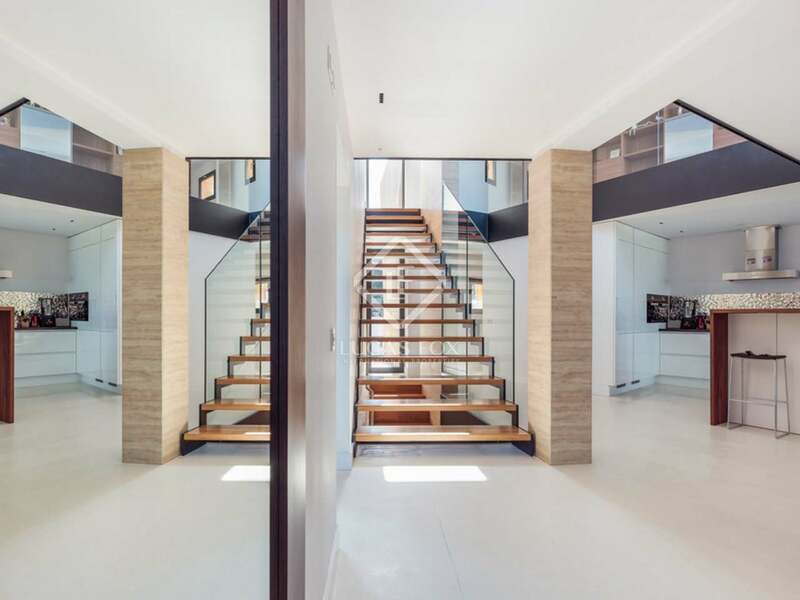 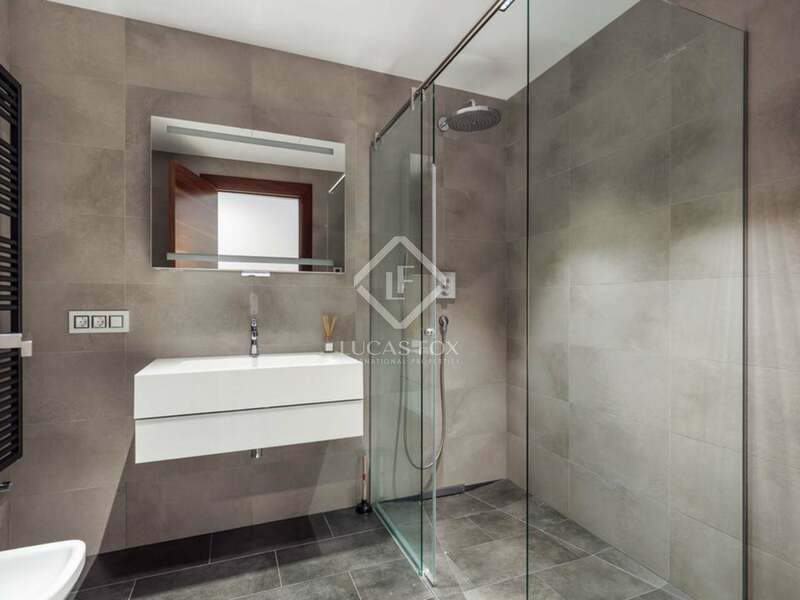 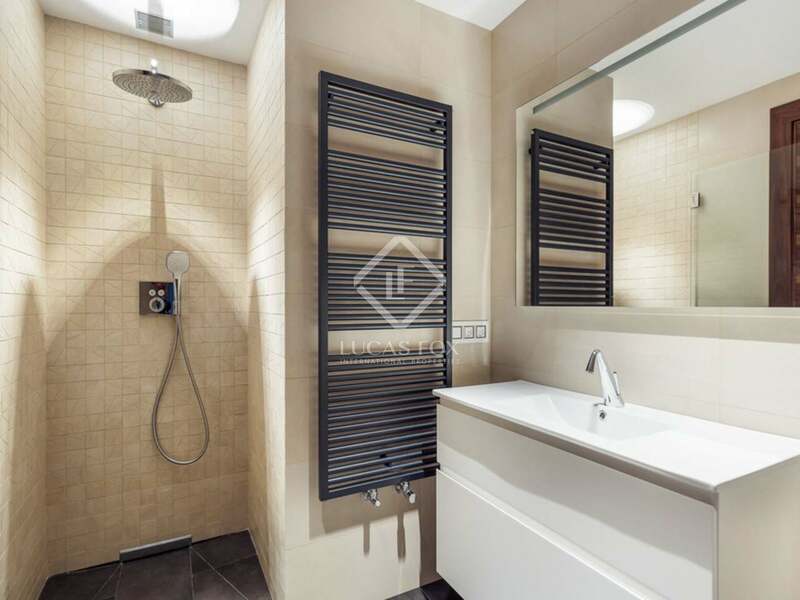 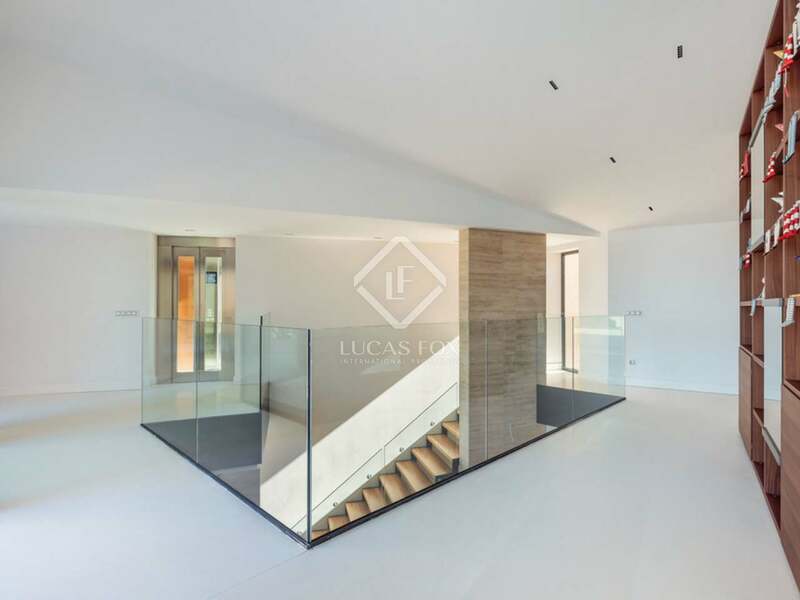 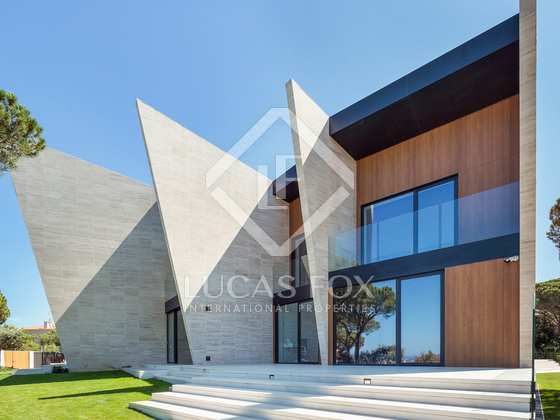 Beautifully designed, modern property for sale built in the year 2016. 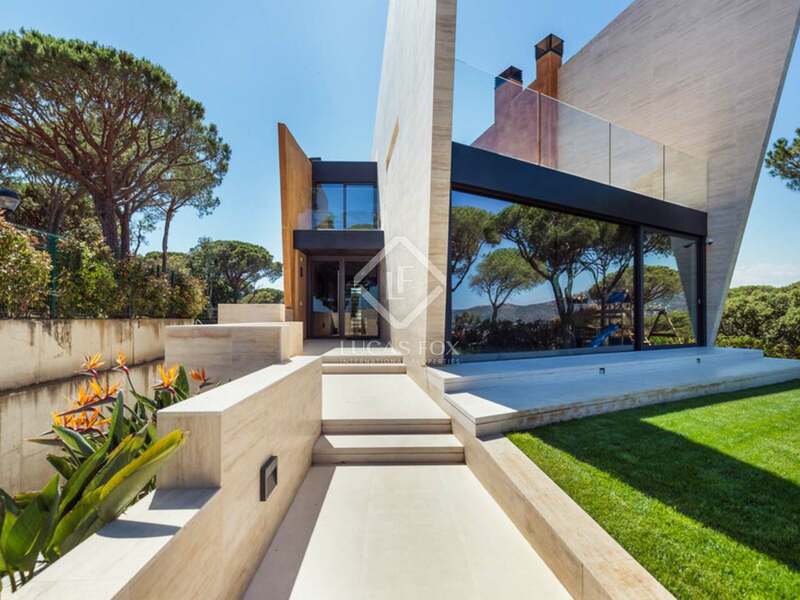 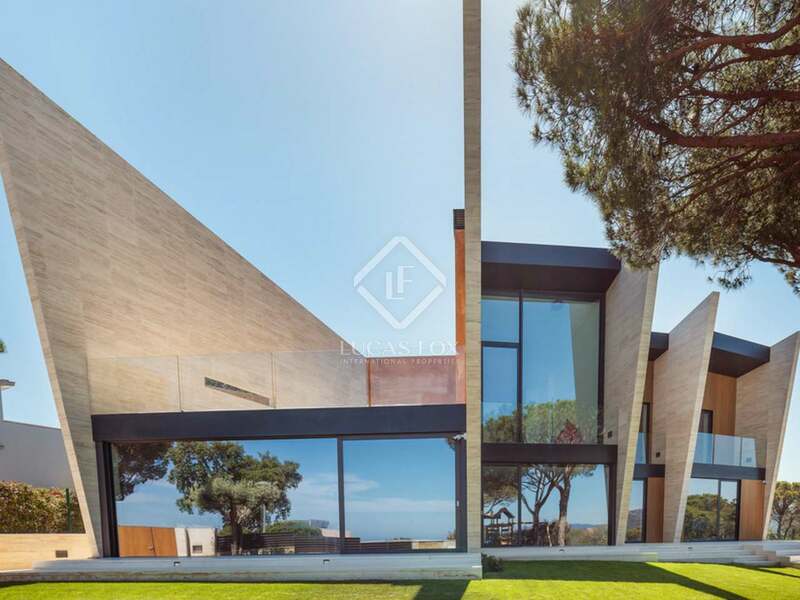 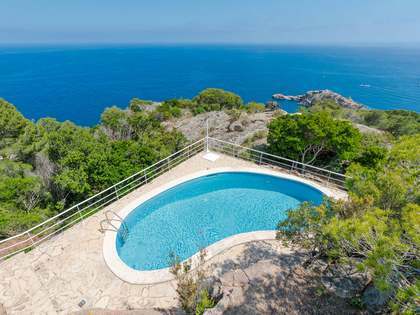 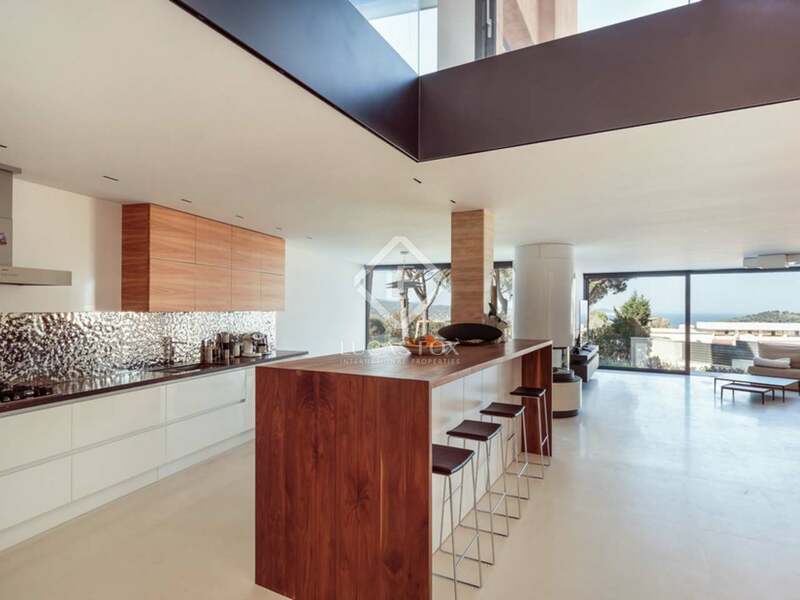 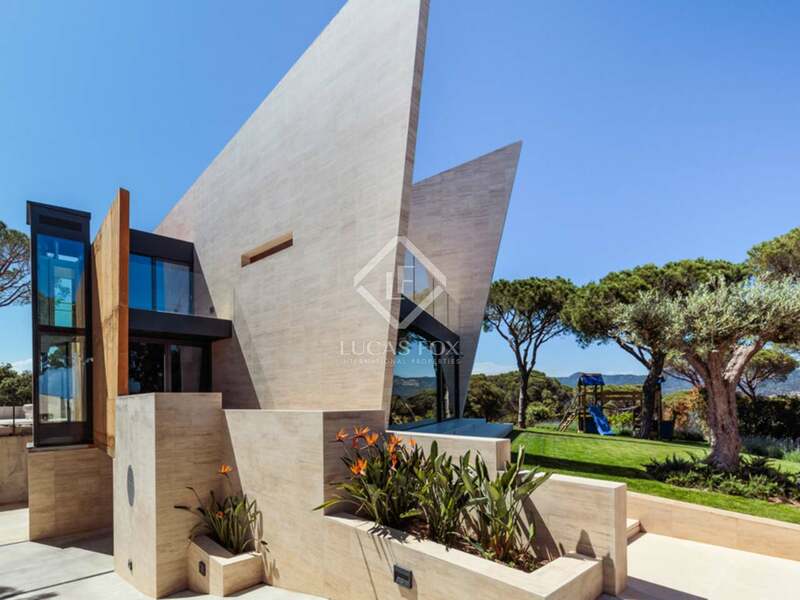 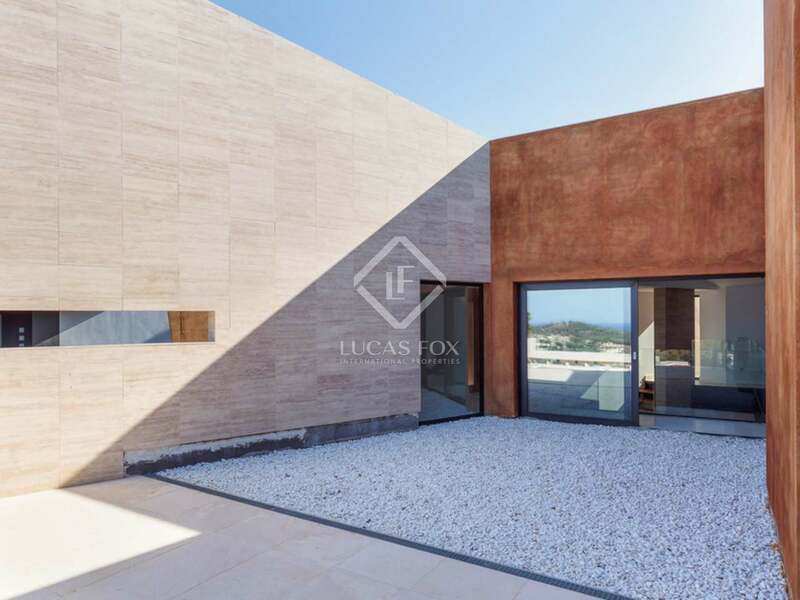 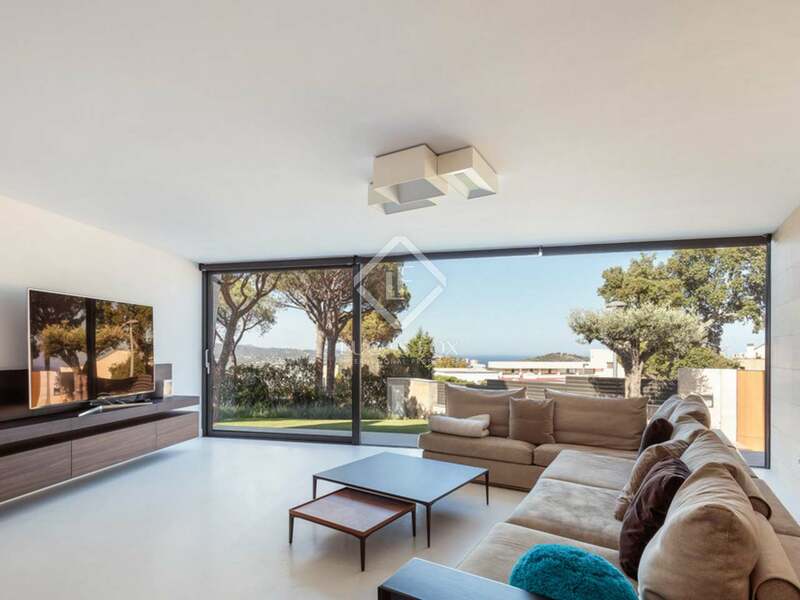 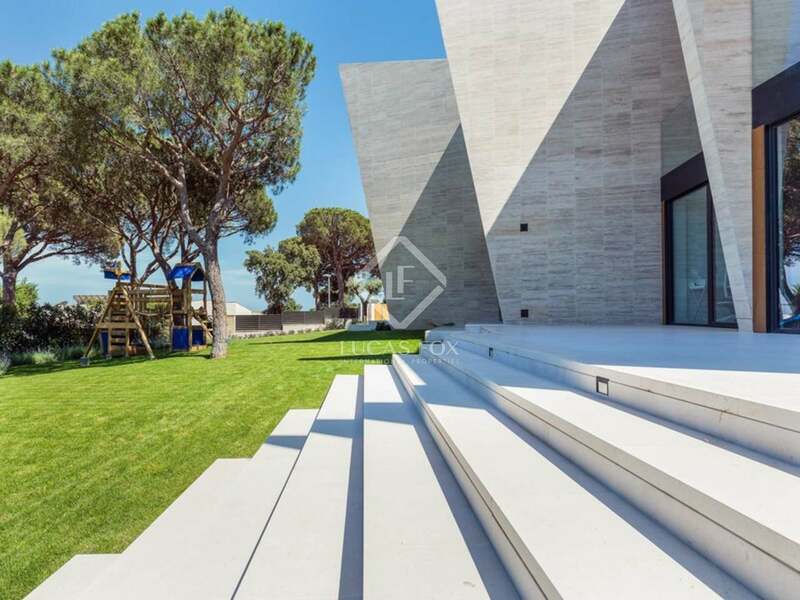 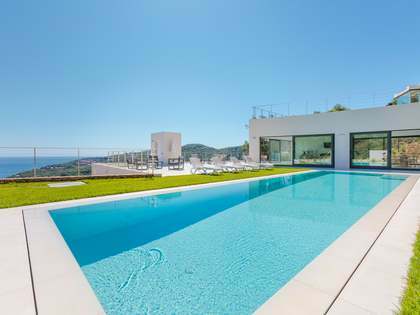 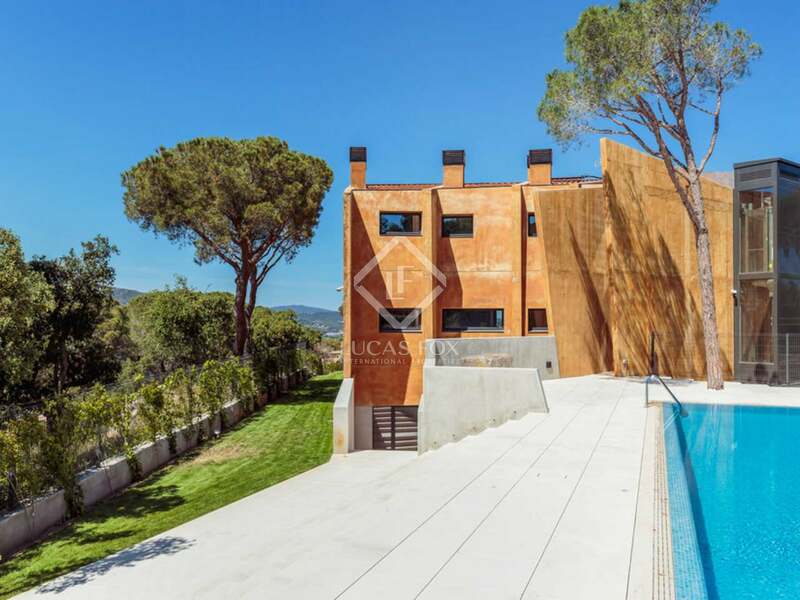 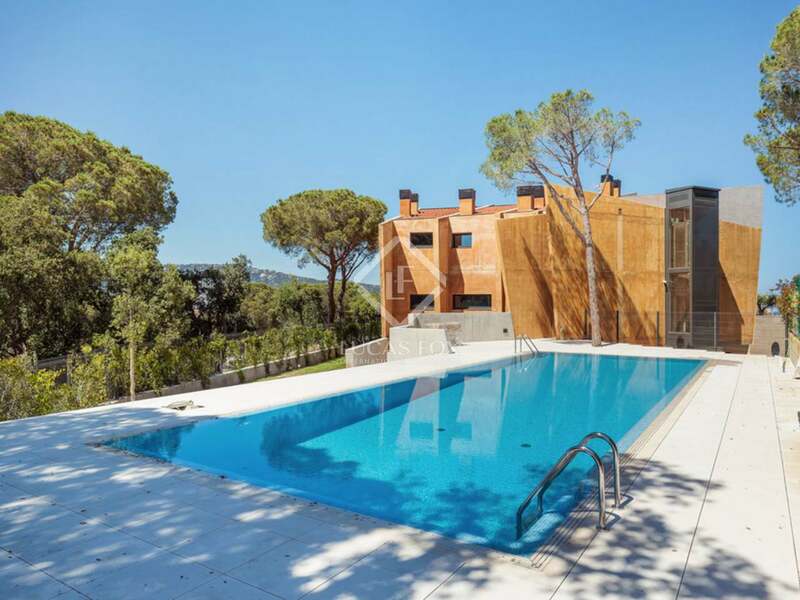 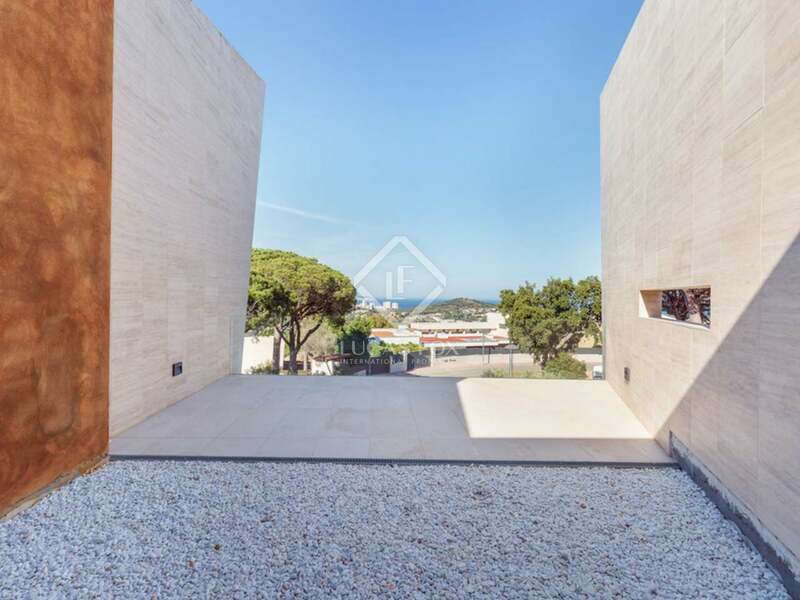 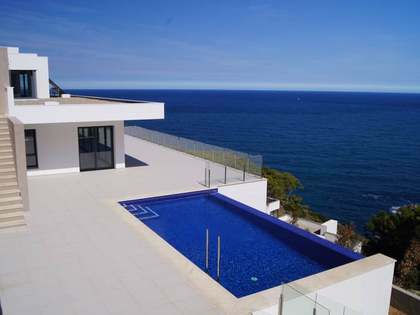 This property, located on a hilltop in the 'Baterias' area of Sant Feliu de Guíxols, combines stunning architecture with incredible sea and mountain views to create a truly special home on the Costa Brava. 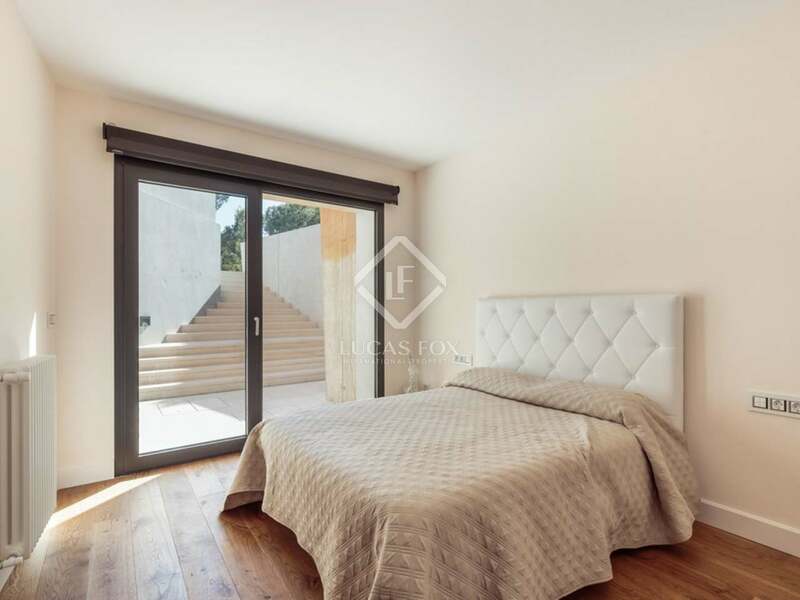 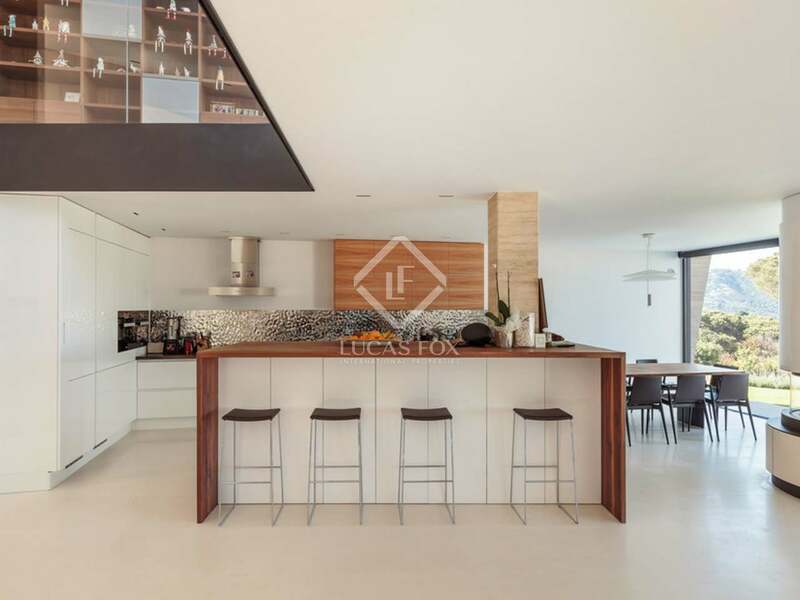 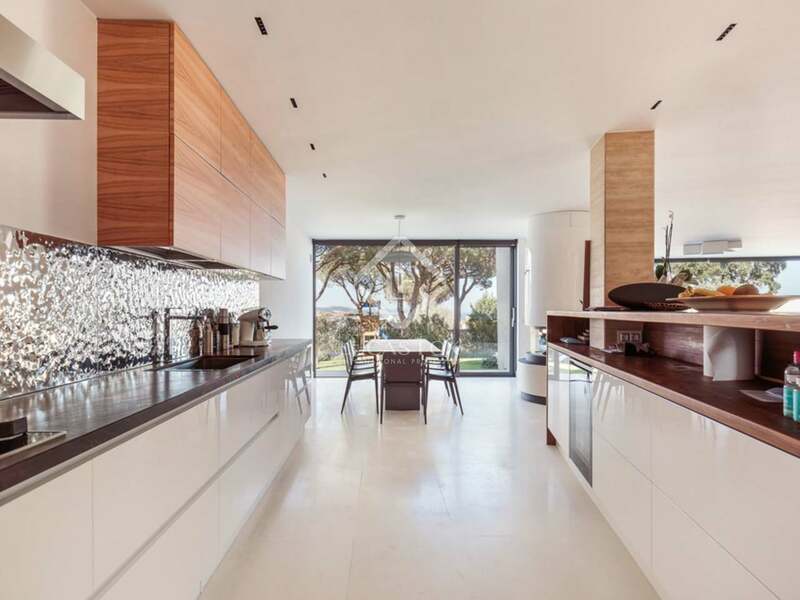 Entrance is via the ground floor of the property which comprises the kitchen, living area and dining area in one open space maximising natural light and offering incredible views from Palamos to S'Agaro. 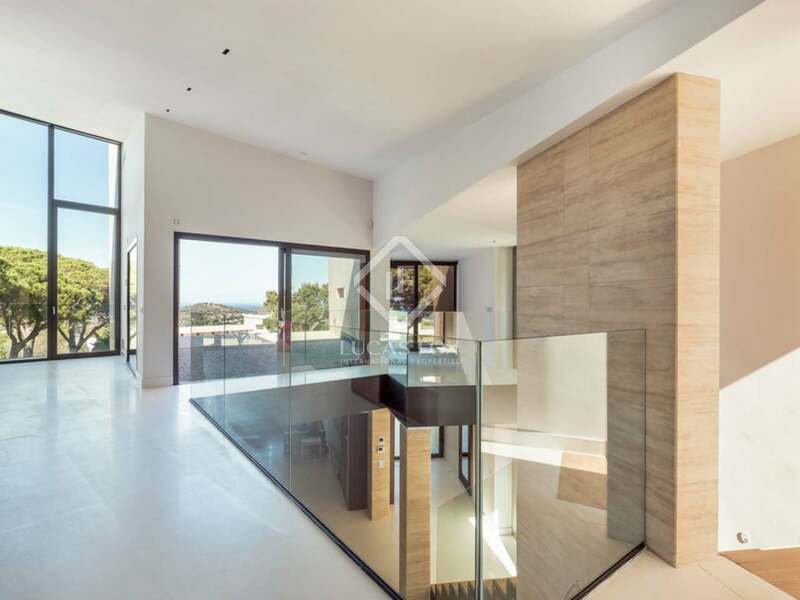 There are also 2 suites located on this floor. 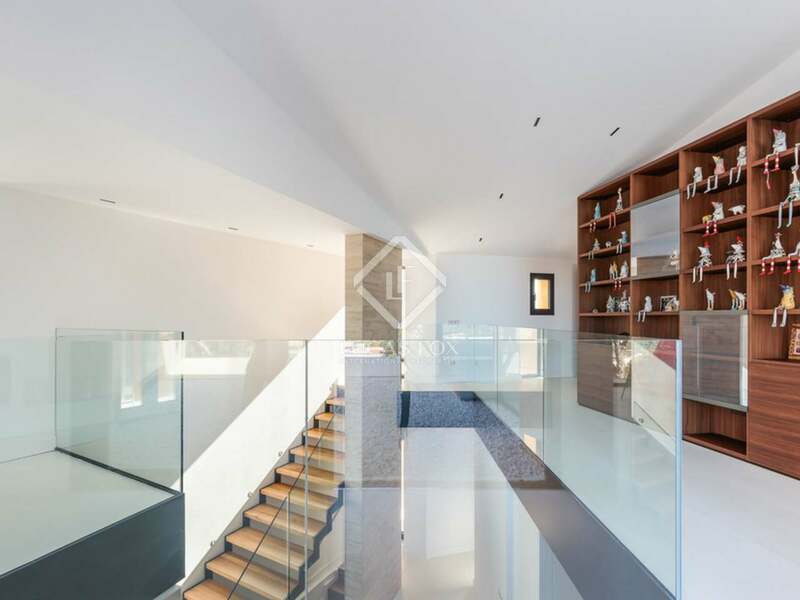 On the lower ground floor we find a further living area, a suite, bedroom, bathroom, sauna and laundry room. 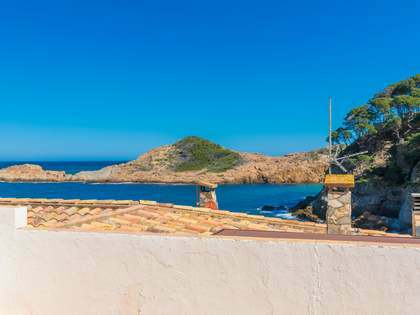 The 2 remaining suites are located on the first floor along with yet another spacious living area with access to a wonderful terrace from which the splendid sea views can be appreciated. 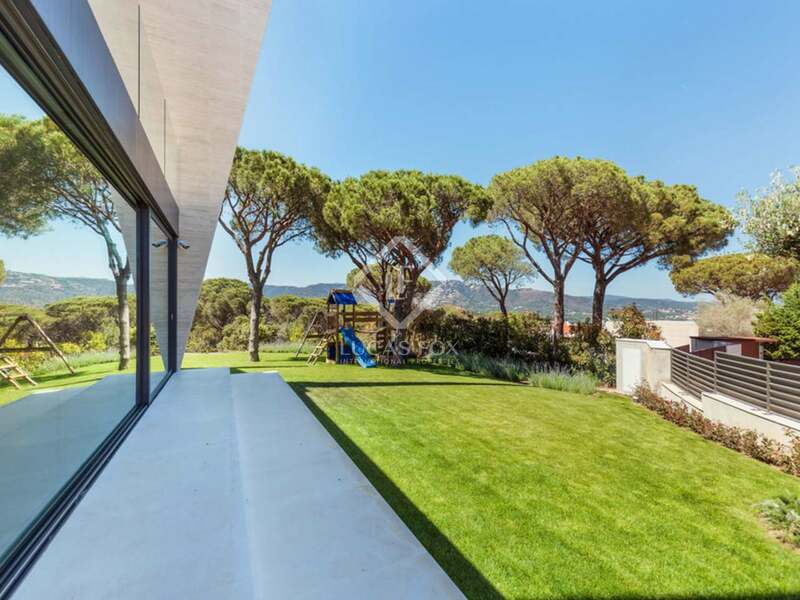 To the front of the property a newly laid lawn with a children's play area, rockery garden and trees provide pleasant outdoor space and there is also a 20m pool with terraces for relaxing in the sun. 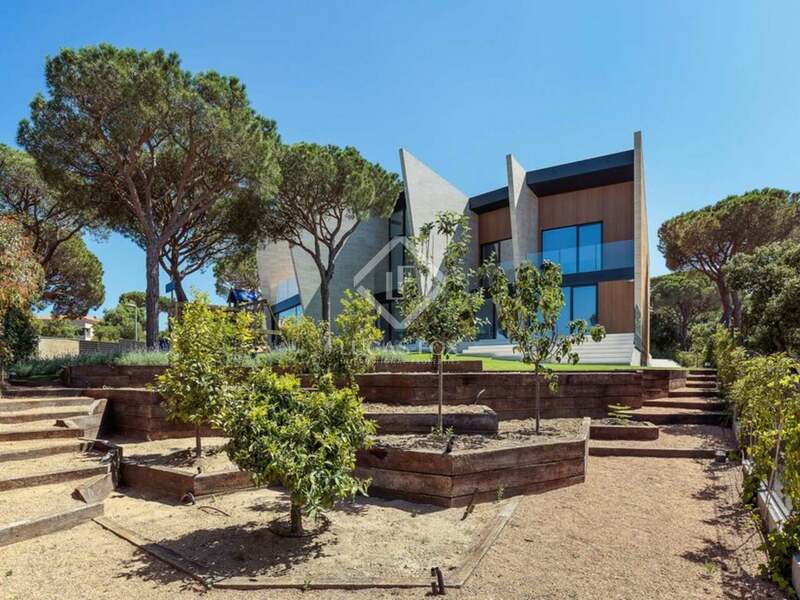 The plot, which measures over 1,400m², borders onto protected woodland area, a peaceful and private home. 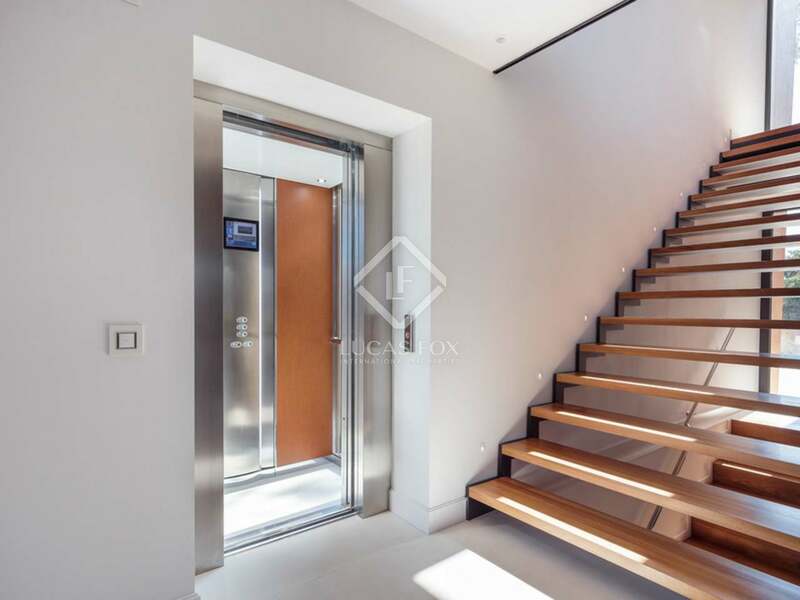 There is a high-level security system and a lift for total security and comfort. 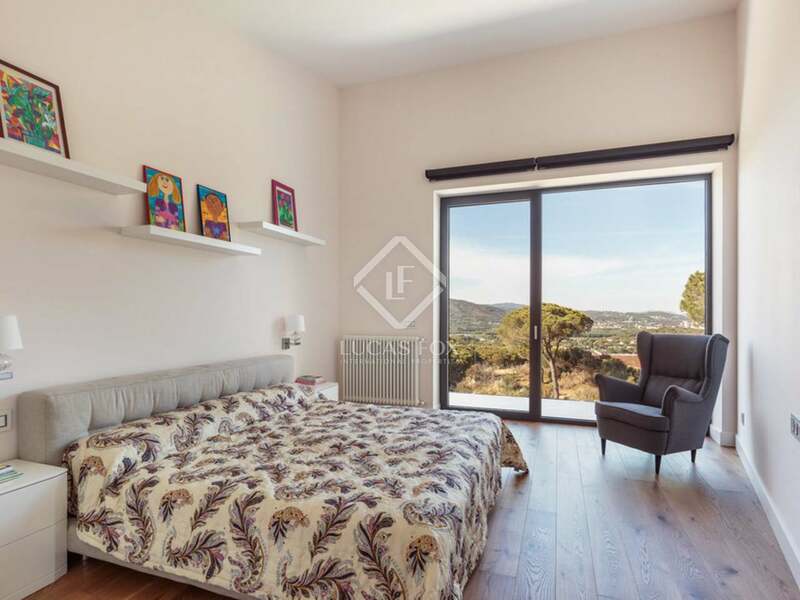 An exciting option for families or investors seeking a modern, spacious property in a peaceful location on the Costa Brava. 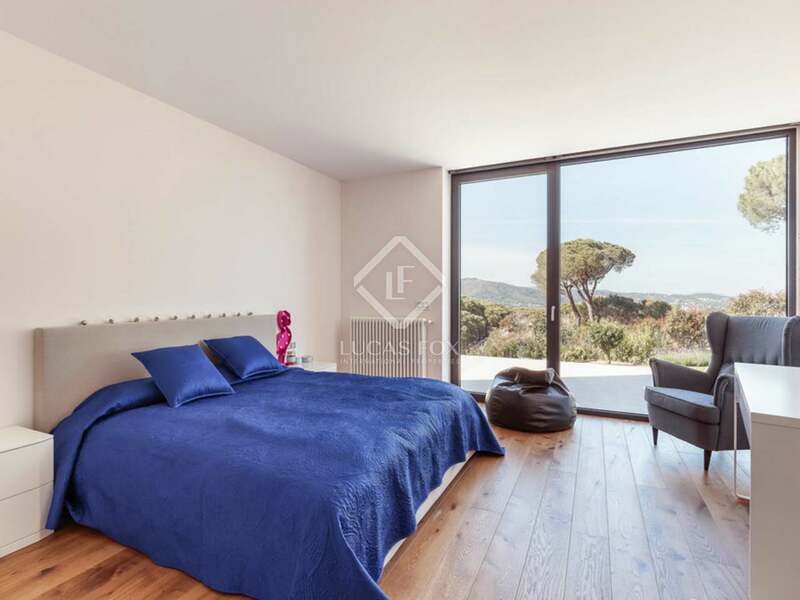 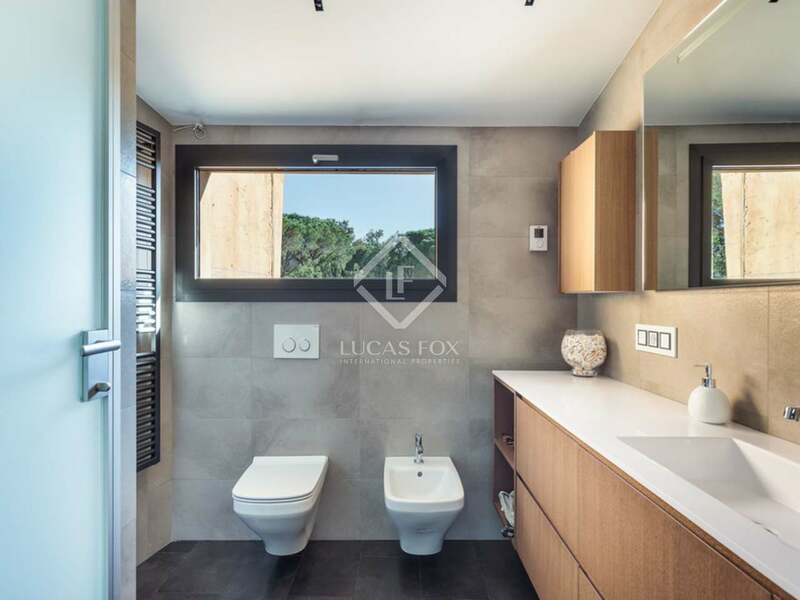 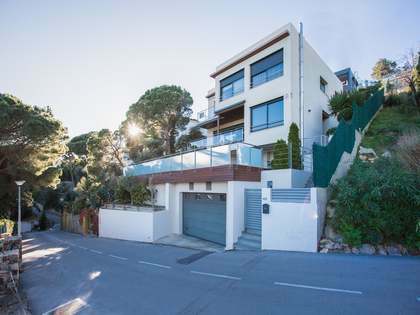 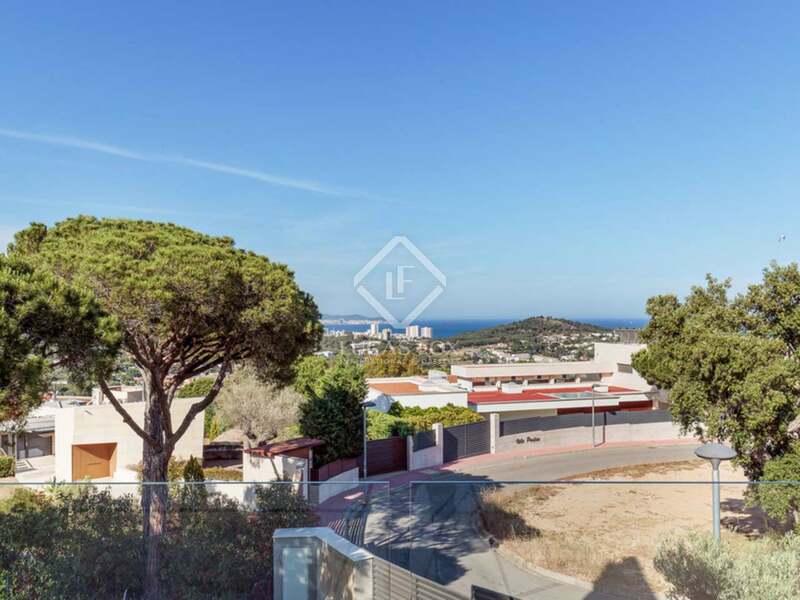 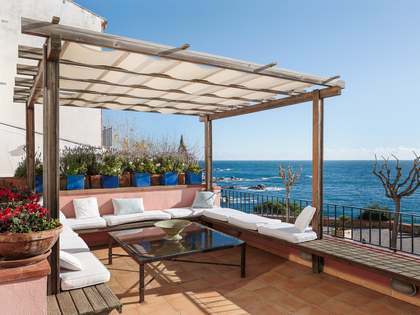 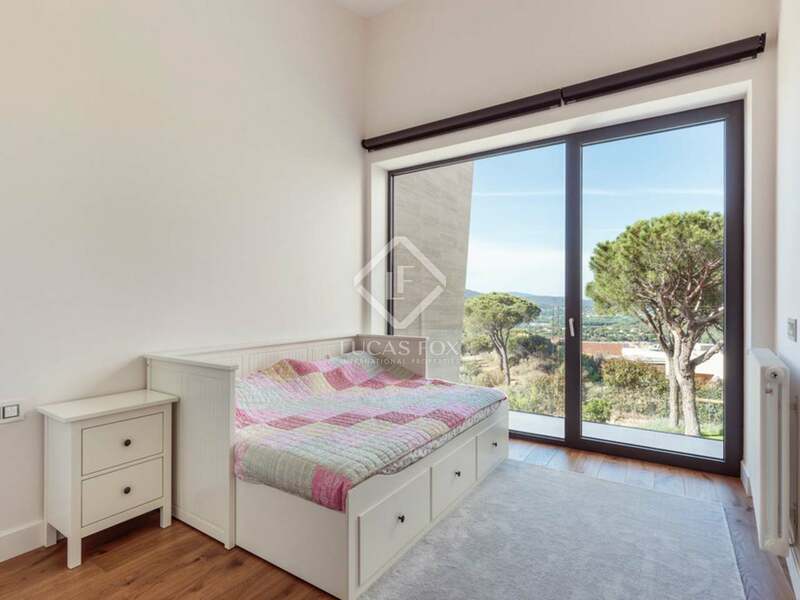 This property enjoys a wonderful hilltop location in the 'Baterias' area of Sant Feliu de Guíxols on the Costa Brava with stunning sea and mountain views from Palamos to S'Agaro.